NAGS HEAD, N.C. -- Nags Head Golf Links, set on the sandy barrier islands of the Outer Banks protecting North Carolina's coastline, may be built at sea level, but designer Bob Moore managed some surprising elevations and challenging blind tests starting with the first hole, a plunge downhill with no green in sight. Once you reach your ball, however, you will find there is more landing room than you originally thought. The finishing hole at Nags Head Golf Links plays along Roanoke Sound. 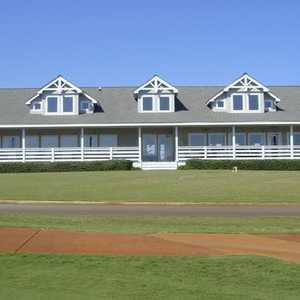 Opening in 1986 and owned and managed by ClubCorp, Nags Head works its way through a serene landscape of dunes, grasses, wetlands, maritime trees and sea. As you play, you may catch the colorful sails of windsurfers streaking through frothy white caps just offshore, and you will certainly see a lot of birds blending into the marshes and swooping through the air. Predictable is the constant presence of unpredictable winds that sweep off the ocean and Roanoke Sound. The front nine's fifth and ninth holes and the back nine's 15th and 18th holes play along the water in opposite directions, making club selection an artful endeavor. "One of my favorite holes is the par-5 18th," says Patrick Kelly, PGA head professional at Nags Head. "With the wind ever changing, on some days you are hitting a driver, long iron and wedge just to get to the green, especially when the wind is from the south as it's difficult to get a second shot through the narrowing neck safely. On other days when the wind is from the north, you might be able to reach the green in two." With 25 bunkers, carries over water and wetlands and several elevated greens, Kelly says. "Nags Head is a Scottish-style course where patience and shot making are required," he said. "You can't just take out your driver and bang it around all day. You need to plot your way around." When 89-year-old Arthur "Bud" Sheets was asked by his daughter Nancy how to play the eighth hole, he told her, "Well, it's a tough one. 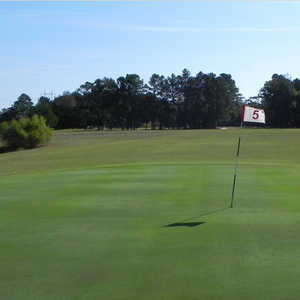 Since it is a dogleg, it's impossible to see the green on your second shot." Sheets, who claims Nags Head Golf Links as his home course and has played golf in all 50 states, jokes he wants his ashes spread in the eighth hole bunker because, "I spend so much time there anyhow." The golf course shares its turf with about more than 200 homes, but most holes are buffered from these structures and from other fairways by undulating dunes and sea grasses. Recent course renovations include shoring up the bulkhead along Roanoke Sound and clearing some of the vegetation to open up views to the water, especially on holes 6-8 and 15-18. Mother Nature also helped in the clearing process a couple of years ago. Nags Head offers clinics throughout the summer, and their game improvement area includes a practice green and Cayman driving range. After golf, head to the Links Grille, settle into a chair on the sound-side deck and enjoy refueling with good food and drink. Before there was a golf course, Nags Head was initially a location on a map, then a township and finally one of the most recognized tourism destinations where you could enjoy a relaxing seaside lifestyle. Today, in addition to playing a fine links layout, the views are reason enough to play here. 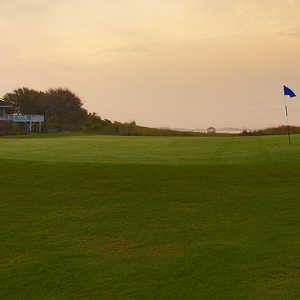 No golf course in the area has as many holes as closely adjacent to the Roanoke Sound as Nags Head Golf Links. And there's a bonus: Play late in the day and you could be rewarded by a glorious sunset out over the water.